During yesterday's conference call to announce Fiat's first quarter financial results, CEO Sergio Marchionne confirmed that Alfa Romeo is gearing up for an imminent return to the USA. Fiat's Alfa Romeo division has long eyed a full-scale return to the hugely lucrative United States market which it withdrew from more than a decade ago, but several ambitious target dates in recent years have had to be postponed. However with a new model range that has been engineered from the outset to meet stringent US crash and safety regulations Fiat CEO Marchionne has been putting a careful timetable in place to realise this ambition. 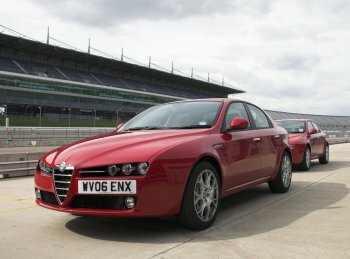 Firmly cementing the new strategic relationship between Fiat's Maserati and Alfa Romeo brands will be that Alfa Romeo's model range will be distributed through the US-based Maserati dealer network, which itself over the last year, has been separated from its previous union with Ferrari. Maserati CEO Karl-Heinz Kalbfell who has been working on the long-term future of the two Fiat Auto brands as one of his roles, has been drawing up fresh plans along with James Selwa, the former Rolls-Royce North America CEO who Kalbfell brought in to take charge of Maserati North America once it was removed from Maranello's control and returned to the Fiat Auto fold. No timetable has been laid out yet, but it is expected it could come as early as late next year. 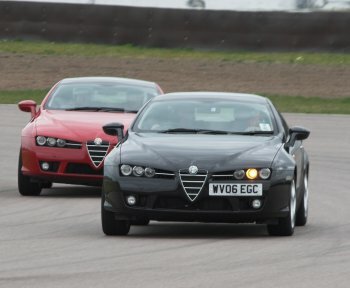 Launch models are likely to comprise of the evocative members of Alfa Romeo's new 'breed' of sports models: the Alfa 159, Brera and Spider. Launch models are likely to comprise of the evocative members of Alfa Romeo's new 'breed' of sports models: the Alfa 159, Brera and Spider. Also into the mix is likely to be added the 8c Competizione with a chunk of the 500-unit production run of this 'halo' model scheduled for commercialisation next year heading across the Atlantic. The 8c Competizione coupé is itself an excellent example of the new partnership between Alfa Romeo and Maserati as it will be based on the latter's forthcoming Coupé/Spyder architecture and will incorporate its new 4.7-litre V8 engine. Meanwhile the Italian ULIM union was quick to express its full support for the decision to return to North America. "The fact that Alfa Romeo is returning to the US market is good news for the Fiat Group, and especially for the factory at Pomigliano d'Arco, Naples, where the production of models 147 and 159 is increasing. When Italian models are successful abroad, it's something to be proud of," UILM General-Secretary Antonino Ragazzi told the AGI news agency yesterday. "The Fiat factory of Pomigliano is hiring more and more young workers, to boost production and employment."